Since receiving his masters degree in violin performance from Wichita State University in 1976, René has made his living in music, as a performing violinist, teacher, and conductor. Before moving to Denver in 1994, he was a violinist with several professional orchestras, including Oklahoma, Jacksonville, Orlando, and Birmingham. His first job after college was at Lamar University, in Beaumont, Texas, where he taught violin and viola, and conducted the university’s orchestra. 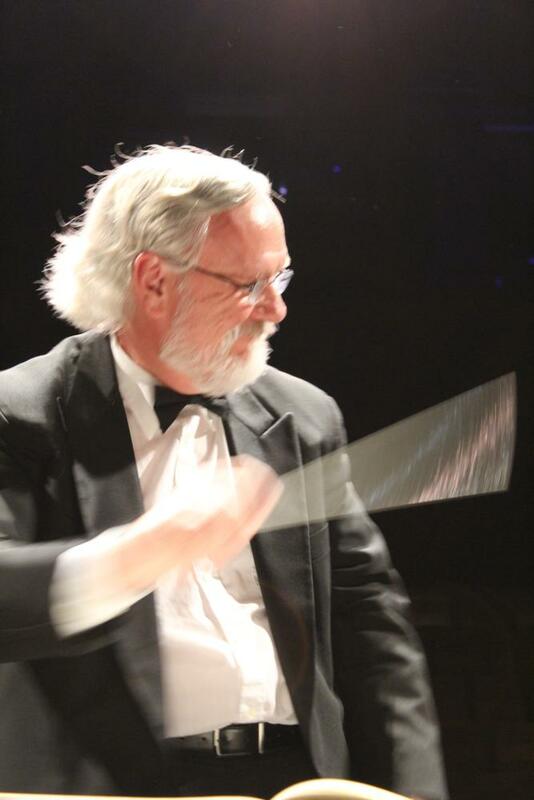 While living in Birmingham, Alabama in the early 90’s, where he played in the Alabama Symphony, René had the opportunity to be the music director of the Red Mountain Chamber Orchestra, a community orchestra in many ways similar to the Parker Symphony Orchestra. It was this group that made him come to understand the important role that community orchestras play in providing opportunities for musical expression to many who would otherwise not have that chance. He made his mark in the Denver area playing as the principal 2nd violinist with Opera Colorado and the Central City Opera Orchestra, as concertmaster for the Lone Tree Symphony Orchestra, and as conductor of the Arapahoe Community College. He is now semi-retired, but continues to conduct the PSO and play with Inside The Orchestra – a group that performs classical music concerts in elementary schools and Tiny Tots concerts for young children and parents. When he is not busy with his musical endeavors, René spends time in his woodworking shop at home. He has been an avid woodworker since he was in high school. Be sure to check out his website at www.sjoelbakcrafter.com. 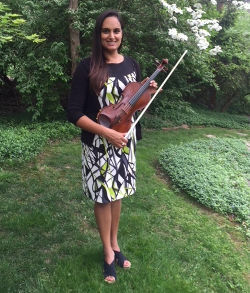 Ms. Carrier is an established violinist and music teacher. She was the assistant concertmaster of the Lone Tree Symphony and performed with the Parker Symphony last year. She has also previously performed with the Anchorage Symphony Orchestra, the Orchestra dell’Università di Firenze in Florence, Italy, the Lakeshore Symphony Orchestra in Chicago, the Midwest Chamber Ensemble, and the Lee’s Summit Symphony Orchestra in Missouri. As a soloist, she performed in the Kansas City and Chicago areas including at the Gospel Fest in 2005 in front of an audience of over 3,000. She is currently also an elementary school music teacher in Castle Rock. She earned a Bachelor of Music Education from Wheaton College and a Master of Arts in Curriculum and Instruction from the University of Missouri-Kansas City.